Realize timely implementation of duty-free and quota-free market access on a lasting basis for all least developed countries, consistent with World Trade Organization decisions, including by ensuring that preferential rules of origin applicable to imports from least developed countries are transparent and simple, and contribute to facilitating market access. Respect each country’s policy space and leadership to establish and implement policies for poverty eradication and sustainable development. By 2020, enhance capacity-building support to developing countries, including for least developed countries and small island developing States, to increase significantly the availability of high-quality, timely and reliable data disaggregated by income, gender, age, race, ethnicity, migratory status, disability, geographic location and other characteristics relevant in national contexts. By 2030, build on existing initiatives to develop measurements of progress on sustainable development that complement gross domestic product, and support statistical capacity-building in developing countries. Success on the SDGs depends on sufficient means to implement them, underpinned by a strong commitment to solidarity and cooperation. Finance, fair and equitable trade, technology, capacities, partnerships and data are among the primary tools for achieving gender equality and all other dimensions of sustainable development. They define, for instance, whether or not services are provided to reduce women’s burden of unpaid care and improve their access to decent work. Increased mobilization of financial resources to fuel sustainable development is a key concern. While $1.3 trillion in aid, investment and income from abroad flowed into developing countries in 2012, 2.5 times that—$3.3 trillion—flowed out through interest payments on foreign debt, foreign investment, repatriated income and capital flight. Currently, official development assistance is the only source of finance that can be tracked by gender, but amounts are limited, reaching only about $114 billion in 2014-2015. Around a third of this sum had a gender focus, but investment shares varied, with a marked emphasis on government and civil society, and only marginal attention to women’s roles in the economy. UN Women acts to put women at the centre of the means of implementation. Globally, we lead the drive to adopt gender-responsive budgeting to realize commitments to women’s rights. We seek to make sure gender issues central to cooperation among countries, and champion innovations in data collection to make women’s issues visible and influential. Helping women access technology achieves a double dividend of empowerment and environmental sustainability. The Government of Sweden extended its financial support to UN Women in Moldova for the period of 2018 to 2020. With Sweden’s support and partnership in Moldova, UN Women will continue its innovative work with the government, civil society, media and people of Moldova in advancing gender equality, women’s empowerment, and reducing gender inequalities. A.H. Monjurul Kabir, Senior Programme Adviser, Head of the Asia-Pacific and Least Developed Countries Section, and UN Women Global Lead on South-South and Triangular Cooperation, talks about why ensuring that gender issues are a central part of cooperation between countries is an under-utilized but powerful vehicle for more inclusive and sustainable development. Every eleventh woman in Georgia has experienced domestic violence. Many of them cannot leave abusive relationships because of financial dependency. The Adjara Group, a signatory of the Women’s Empowerment Principles, an initiative by UN Women and the UN Global Compact, is recruiting survivors and raising awareness to prevent domestic violence. 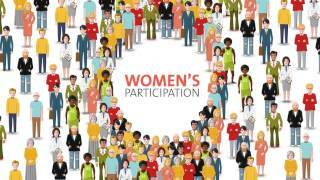 This animated video explains gender responsive budgeting and how it is used to mainstream gender in governance planning and budgeting.